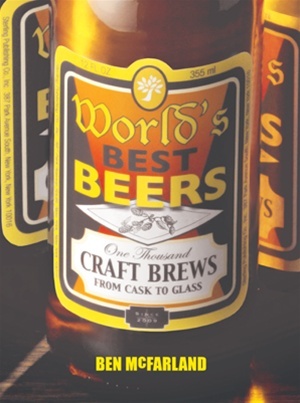 Raise a pint to the WORLD’S BEST BEERS! This extensive exploration of the 1,000 tastiest brews on earth is not your average guidebook—it’s a complete look into the history, production, and flavor of every beer worth drinking. “Brewery Profiles” take you country-by-country to the finest breweries in places like Argentina, Japan, Germany, Belgium, Britain, and New Zealand, and provide fun facts, stats, and anecdotes. There’s even an explanation of which beers go with which foods. Next time you eat shellfish, try it with a Pilsner. Having a hearty stout? It pairs perfectly with some vanilla ice cream. BEN McFARLAND is an award-winning beer expert who was voted Britain’s Beer Writer of the Year in both 2004 and 2006. He is co-author of Good Beer Guide West Coast USA, and is a regular commentator on ale-related matters for many publications, including Beers of the World magazine, The Guardian, The Times, and London Lite.